DJ Patch brings fun and cheers at every show. He is the headliner at the Lazy Oaf Lounge in Madison every Wednesday night. He know how to put on a show and he keeps the people coming back each week. DJ Patch is a professional DJ and has proven skills and talents that will make your Wedding, Party, Event or Karaoke show the most fun it can be. 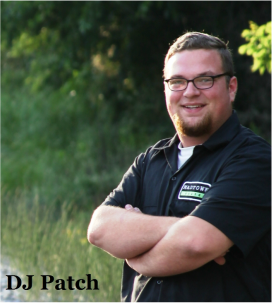 Ask for DJ Patch for you next event and you will have the peace of mind that you will have a qualified DJ that cares.